Prefab cabins are a great solution for people needing lots and lots of storage space. 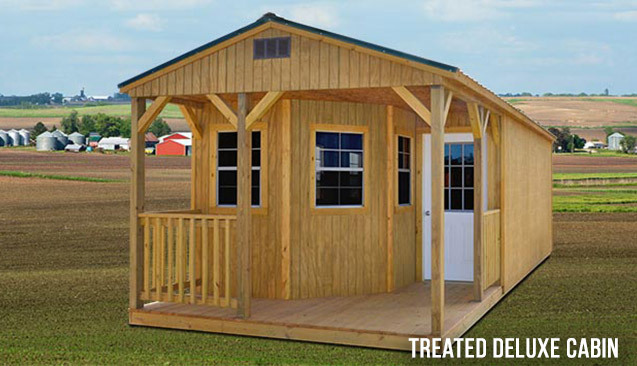 Our prefab cabins come in basic variations: the deluxe prefab cabin and our deluxe lofted prefab cabin. 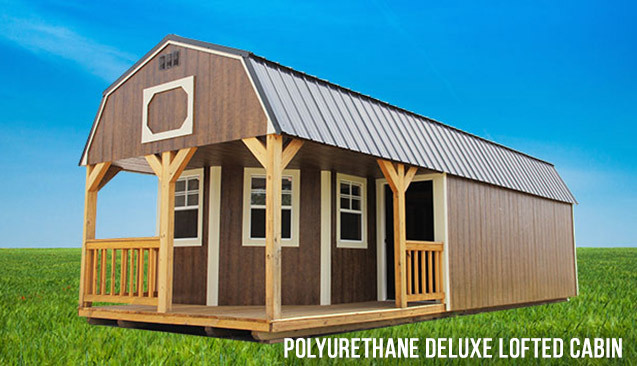 Our standard deluxe prefab cabin is with 8′ sidewalls and an A-Frame roof, while our deluxe lofted prefab cabin comes with 6′ sidewalls with a lofted roof. Both of these prefab cabins come with a fron porch package which includes a bay style porch that features three 2′ x 3′ windows and a conventional front door. 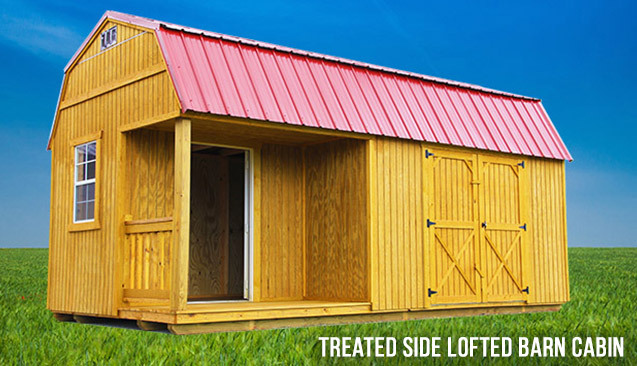 Both of our cabins can come in your choice of pressure treated, painted, or polyurethane finishes. We also offer a “build on site” option which costs more and does not qualify for our rent-to-own financing option. 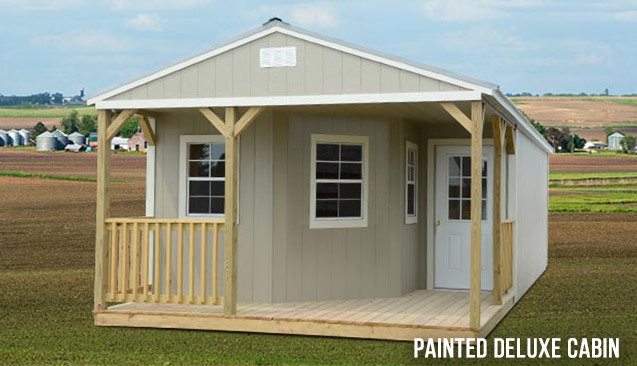 Although, Spring Hill Sheds DOES NOT SELL TINY HOMES, many of our customers have told us that they convert our prefab cabins into livable structures. This practice is entirely up to the end user and should be cleared through your local housing authority.